This highly acclaimed vineyard is distinctive in that its terroir is unmistakably pronounced in the high quality grapes, overflowing with the minerals and forests of the Yorkville Highlands in Mendocino County. The result is a rich, deep yet graceful and highly nuanced Pinot Noir. Since 1999 Williams Selyem Winery has produced some of its best vineyard designate Pinot Noir from Weir Vineyard grapes, giving it essences that only Mother Nature could lend. The vineyard's proximity to the coast provides an ideal cool climate in which the grapes grow. 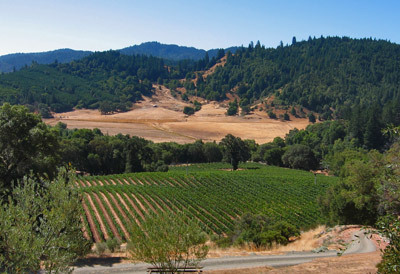 Both the Old and New of the Weir Vineyards are characterized by rocky hill soils, consisting of gravel and old brittle rock. The soil lends deeply to the distinctive mineral quality of the wine that the grapes produce. Each vine is stressed using various pruning, irrigation, and trellising techniques, in concert with soil mechanics, to encourage the vine to draw into itself the earth. By monitoring the crops to ensure low yields, all the rich nutrients and organic character will intensify and concentrate in what few clusters are produced, the result being a richer and more intense fruit, and thus a richer and more intense wine. The Weirs and the Riches longed to work together for years, and finally in 2009 were able to begin a delightful partnership based in mutual admiration and the desire to make stunning wine from stunning grapes. 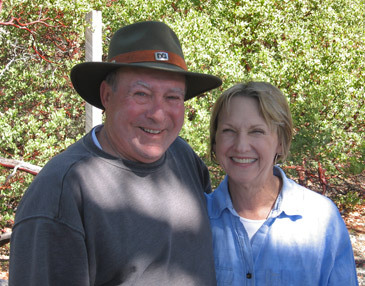 Talisman’s first vintage of Weir Vineyard Pinot Noir was 2009. Download a fact sheet for the 2014 Méthode Ancienne vintage.